Home Money	What Are the Best Alternatives to Bankruptcy? Bankruptcy! Not many words create as much fear and grief, especially in the financial world. But bankruptcy isn’t the end of the world, and it exists for a reason. However, if you are at the end of your rope financially and you are willing to look at some alternatives, then you still may be able to dig yourself out of your financial hole. Bankruptcy may still be the best alternative for you, and may offer some positives for you overall situation. But here are some attractive alternatives to bankruptcy to consider. Arguably the best alternative to bankruptcy, debt consolidation is both the most-used alternative and the most suitable for individuals who owe money to several different creditors. Consolidating your debt will allow you to make one lower monthly payment to all your creditors, instead of having to pay multiple bills and several different payments. There are a couple of different ways to approach this option. You can get help from a financial company, though it could hurt your credit a bit, but only for about a year. 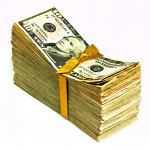 The best way to approach this is to take out one loan that is large enough to pay off all your other debt. Then you simply have the one payment to make. All your credit cards will still be available to you, so you will need to be very disciplined in order not to rack up more money on the cards you still have. This may be surprising to you, but most (if not all) creditors will be will be willing to negotiate with you and help you settle your bill. This is especially true in situations where you have lost your job unexpectedly, had a medical emergency, or had something else occur that can’t be helped and has strapped you financially. Remember, they have the mindset that “something is better than nothing,” so working with them to lower your interest rate or allow you smaller monthly payments is not out of the question. This option is similar to the debt consolidation option, but instead of getting a loan to pay everything off, you simply get in touch with your creditors and work out a new payment plan. This option allows for lower payments, better interest rates, and will allow you to pay off your debt faster. *Note: You may need to hire a professional financial company to help you with this option. This is something that you should look into regardless of your financial situation. Managing your finances properly is key to staying out of debt and avoiding bankruptcy. You can either hire a financial planner, or use one of the many free financial planning programs that will help you eliminate unneeded debt, and help you build a budget. There are many excellent financial management tools out there, many of which are free. One of the very best free tools is called Mint. Remember, bankruptcy is there to use and may be the option you need to pursue. However, there are several attractive options available that may help you avoid bankruptcy — so check them out and do some research before making your final move. 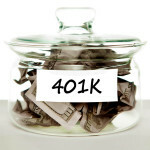 Is Your 401K Plan as Good as it Could Be?